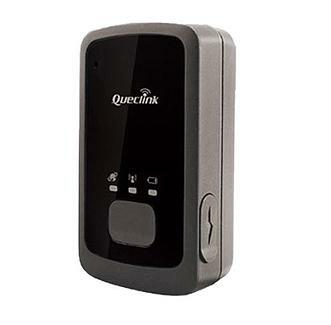 Queclink has recently released a big battery version for WCDMA tracking device GL300W. Under the GL300W series, customers can now choose either 1700 mAh or 2600 mAh internal battery based on their preferences and actual needs. The big battery version boasts longer standby time, but also comes with bigger size and a little more weight. But it is by no means bulky. If customers want the device to work for longer time on a single charge, in situations like outdoor sports or long distance transportation, the bigger battery version may be a better choice. The device can run on both 2G and 3G networks so that it can be used in most regions of the world. It is also weather resistant, with compliance to IPX5 and wide operating temperature range, so that the device can still perform outdoors and in cold chain logistics. In terms of exterior design, the device looks obscure for ultimate stealth. It also sports a foolproof thumb sized button with vibration feedback indicating successful operation. By successfully pushing the button, the user can instantly send an SOS alarm or set geo-fence. This design can save users time and even life in emergencies. By working with a cable provided by Queclink, the device can even be connected to a vehicle to perform vehicle tracking. GL300W series are very powerful and versatile. It can be widely applied in outdoor sports, asset tracking, long distance transportation, individual safety, etc. To learn more about the product, please click http://www.queclink.com/GL300W-Series.